A violent woman has been arrested for stabbing her neighbor to death, following a verbal exchange. The sad incident happened at Oke Ira axis of Ajah, Lagos. According to other neighbors, the suspect, identified as Uche, is in the habit of verbally assaulting her co-tenants. brushing her teeth and Uche started singing abusive songs directed at her. 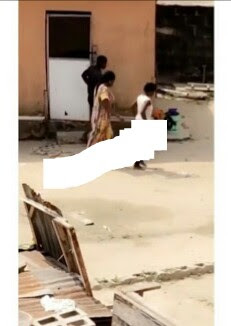 After getting no response, the suspect then went ahead to splash dirty water at the exact place the lady was brushing, thus triggering a reaction. In the course of their verbal exchanges, the husband of the deceased cautioned her before he went out to work. 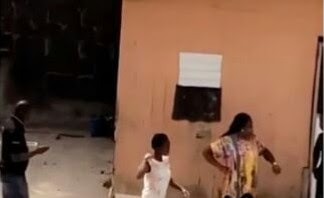 However, minutes later, when the lady was taking her kids to the bathroom, Uche stabbed her in the stomach, eventually leading to her death.